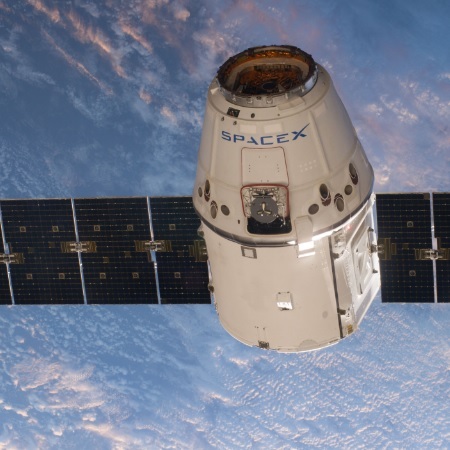 The SpaceX Dragon cargo spacecraft has returned to Earth following a mission to the International Space Station. NASA said Monday the spacecraft dropped into the Pacific Ocean carrying space research data and ISS hardware. Dragon left the orbital facility on Jan. 13 following a three-day delay caused by poor weather at the splashdown site. During the recent mission, Dragon, which launched from Cape Canaveral Air Force Station on Dec. 5, supported multiple research projects aboard the ISS, including those being carried out by Expedition 58, which is exploring microgravity science and life support systems in space. With the SpaceX Dragon back to the Earth, four spacecraft remain parked at the ISS, including Northrop Grumman’s Cygnus resupply ship.